I love dipping my proverbial toes into early access games whenever I can. There’s something really cool about exploring a game that’s nearly there but not quite finished. 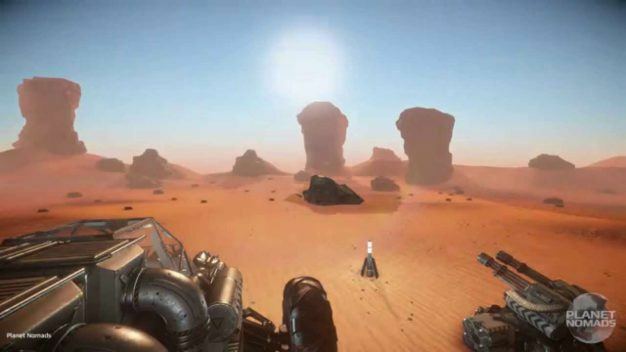 This is very much the case with a title I’ve been playing lately by Czech developer Craneballs called Planet Nomads. 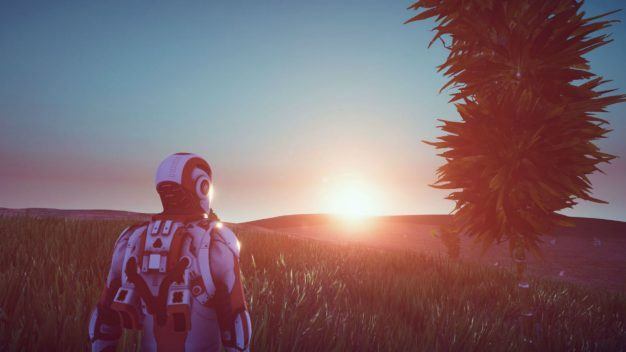 I’ve mentioned that this game is in early access, but this is something that I want to stress from the start; the reason for this is that I’m seeing the beginnings of what could potentially be something really wonderful, but in early access fashion they’re really not there quite yet. 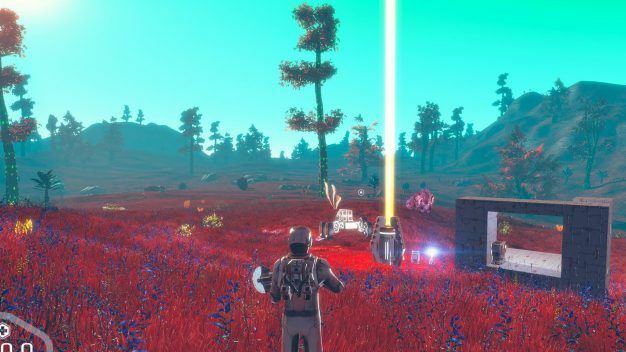 Planet Nomads has a distinctive No Man’s Sky feel to it. 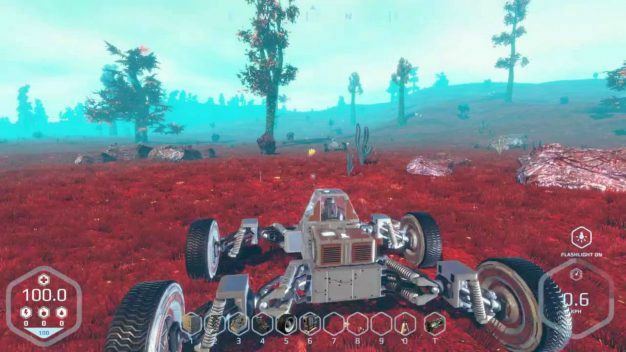 You crash land on a randomly generated world and have to go out and depending on the mode that you’re playing either survive or just be creative, build stuff and have fun. Notice that I used the word feel: this isn’t a clone or a copy, it’s just got a presence that feels kind of familiar if you’ve played the other game. So lets start with the positives. It’s got plenty, the biggest one being just how damn gorgeous this game looks. I mean seriously, we aren’t talking samey landscapes and creatures that look like they’ve been Frankensteined together by a blind lunatic. 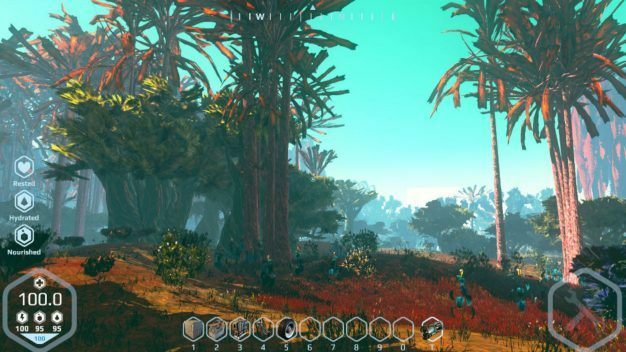 You actually feel like you’re on an alien world and this is a massively good thing. This might possibly be because your surroundings aren’t alien to the point of being utterly weird. You still get a sense of familiarity without feeling too at home. Another important note is that these worlds are massive and, as it should, the terrain changes as you travel and explore. This means you’re constantly going to be seeing something new and that makes you want to go out and actually look. The issue that comes with procedural generation is that although things are random, some basic rules are still in place. This can sometimes give a copy/paste feel even though what you’re seeing is different every time. Thirdly, I noticed that day and night and changes in weather not only feel very distinctive (and look awesome), but genuinely effect you. You wouldn’t want to be stuck in the cold in a storm in real life and the same applies here. Find shelter or freeze. The game makes sense. Obviously starving isn’t good either, but this is something you’ll be more likely to consider immediately before taking your surroundings into account. All good so far right? 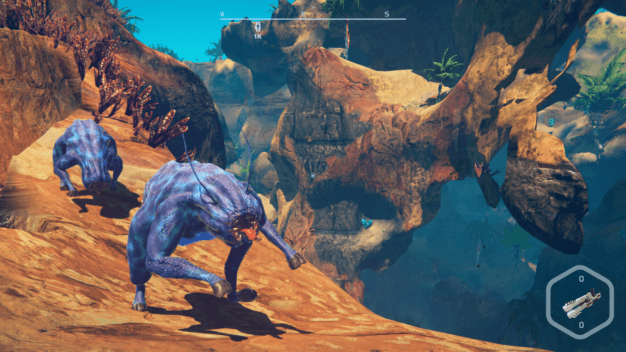 Now here’s the rub and the reason why I’m really glad Planet Nomads isn’t being called complete yet; there are certain things in a game that for me are absolutely crucial and at the top of this list is the need for a comfortable control system. This doesn’t just come down to button mapping, that can usually be changed to suit your taste as a player, it’s also about feel. If the controls feel clunky it doesn’t matter how easy the buttons are to remember. This is one of my biggest gripes about this game and the reason why I haven’t explored its beauty anywhere near as much as I would have liked to. Movement in Planet Nomads feels really slow and turning creates a bizarre blurring effect that while only momentary (seconds really), it is enough to make you feel a bit queasy. I’m not sure whether this was intentional or whether it’s something they’re looking to fix later, but it’s massively off putting. I want to explore. I really want to see all the game has but when going anywhere feels weird and labored, I find it difficult to put more than 20 minutes in at a time before I start feeling like it’s all a bit too much hard work. This is something that you shouldn’t really be feeling in what should be a really enjoyable experience. Another annoyance is the crafting system. Initially this isn’t really very well explained at all. Your tutorial in a game that already doesn’t have an introduction really amounts to basic movement and laying your first blocks for a shelter. From this point you can pull up the controls for different things using the F keys, but otherwise you’re pretty much on your own. Let’s remember that crafting is the soul of this game and is something I love. I think harnessing creativity is great and being able to do things your way is an even bigger plus. It’s the practice that doesn’t follow the theory. In creative mode you have loads of time to learn but in survival mode, you need to act efficiently and it’s really difficult to do when you’re working things out as you go. For me – if I’m placing floor tiles, walls, items, etc. – it should feel fluid. Everything should snap together and really line themselves up where possible. 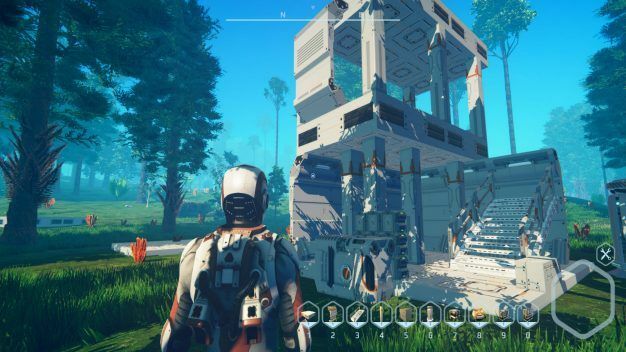 On my second attempt at playing the game in creative mode, I thought I’d build my base then go and explore. The building menu offers you a catalogue of all the stuff you have to play with. You aren’t worrying about resources, it’s more build as you see fit. It took me literally ten minutes of twitch accuracy to place about four blocks. The slow character movement didn’t help but I found myself moving the mouse in the tiniest fractions to try and get anything to sit together. Again, this all just felt like far too much hard work when I really wanted to be able to build everything from bases to vehicles. In survival mode you need to find resources to make things. This I love but when making important items feels awkward the resource gathering side becomes more rushed. Your life is on the line so you want to get the ingredients quickly to give you longer to build. It’s really frustrating. I can see the heart of a brilliant game beating away merrily beneath the surface. I totally see the love the devs are putting into this title. 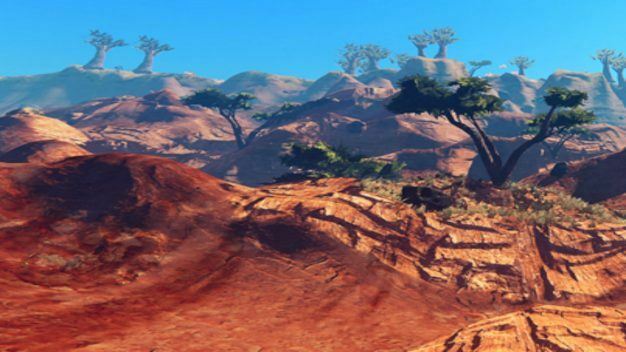 Planet Nomads has the raw materials, but they having been molded and polished into the building blocks of a great game. 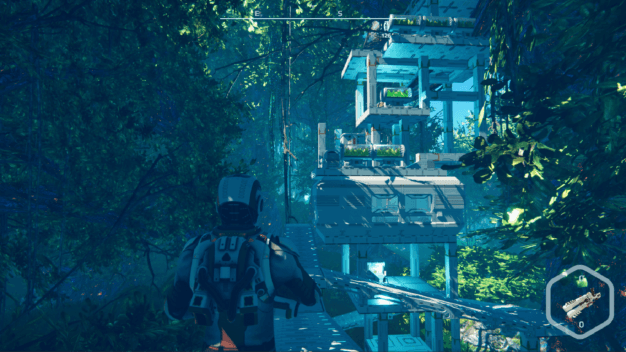 I think there is a huge amount of fine tuning that needs to be done here before Planet Nomads becomes truly enjoyable for a wide audience. I’m an incredibly patient gamer, and across several attempts I think I’ve probably managed only scant hours of game time. Now let’s remember that this is my experience so please don’t be put off. This is a game worth watching and I know with some work it could be exceptional, but in my opinion that could take a little while yet.